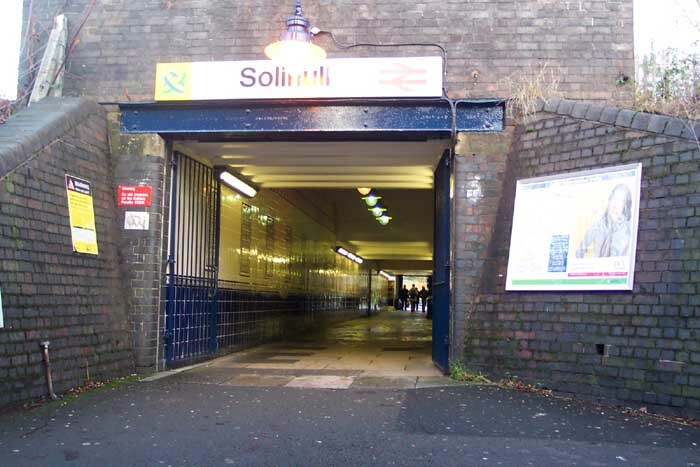 Solihull station opened in 1852 on the GWR's Oxford & Birmingham Branch. It has, like so many of the region's stations, undergone significant 'rationalization' and lost many of its original features. 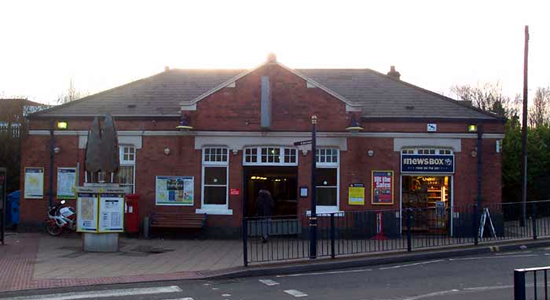 However, as can be seen from the above photograph of the station building on Station Road, it has managed to retain some period structures and a certain amount of aesthetic charm: albeit not the case at track level. 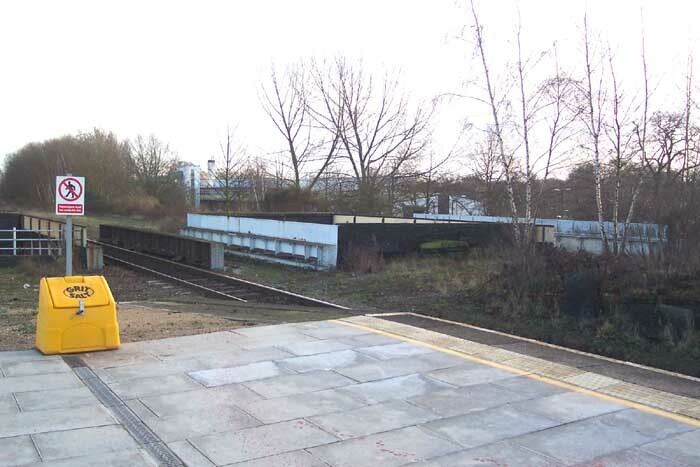 Above-left we see the platform subway from which access to the platforms was enabled via staircases - this means of pedestrian navigation around a station perched on an embankment was popular although other approaches did exist. This view is at the opposite end of the subway from the station building seen at the top of this page: immediately beyond the wall above the entrance is a disused trackbed and platform. 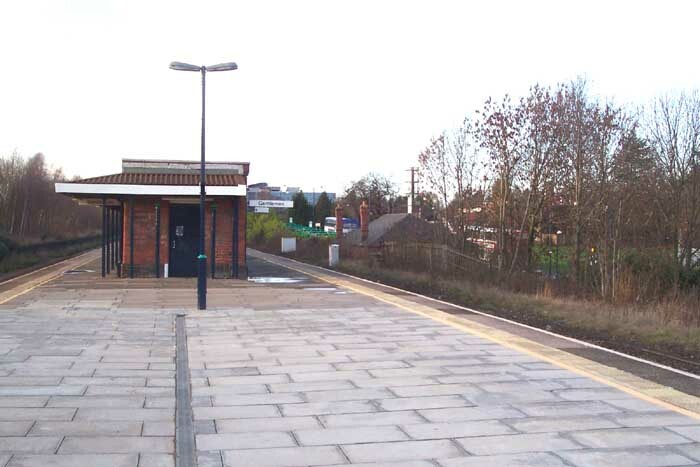 Above-right we are looking in the direction of Birmingham on the only operational platform at Solihull - the entrance building can just be seen to the left. 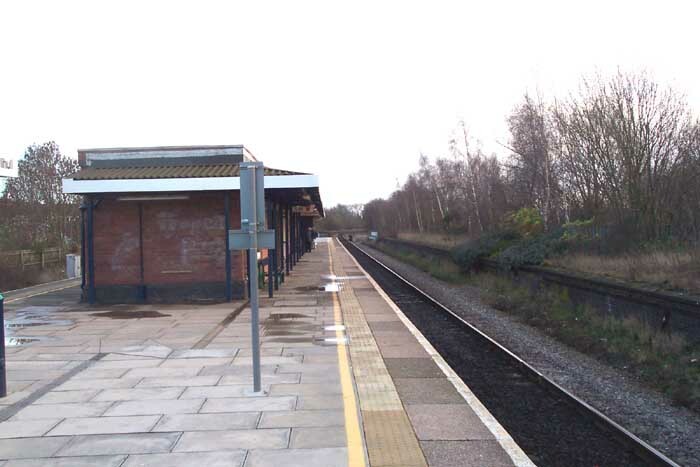 The platform building has been significantly reduced since the days of the GWR. Above-left we are again looking towards Birmingham where once a sizeable goods yard branched-off to the right with a large goods shed and multiple sidings. 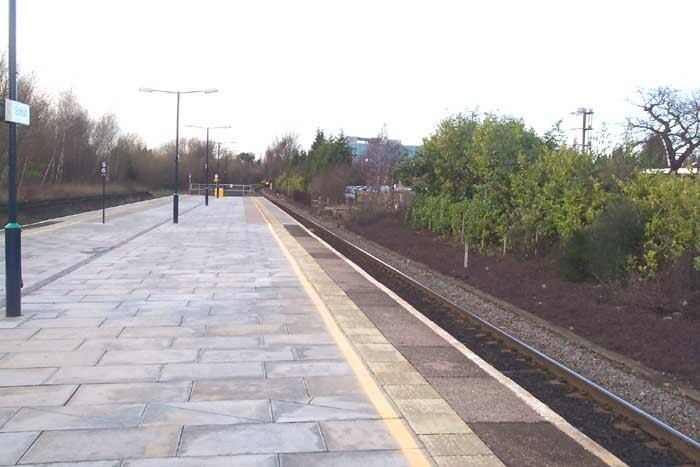 The goods yard was swept away with redevelopment of the area including the office block just discernible pepping over the trees on the horizon to the right of the track, and by the creation of the bus parking area near the entrance to the station. With the closing of the goods sidings also went some of the lines through the station resulting in the layout as we see it today: one up and one down. 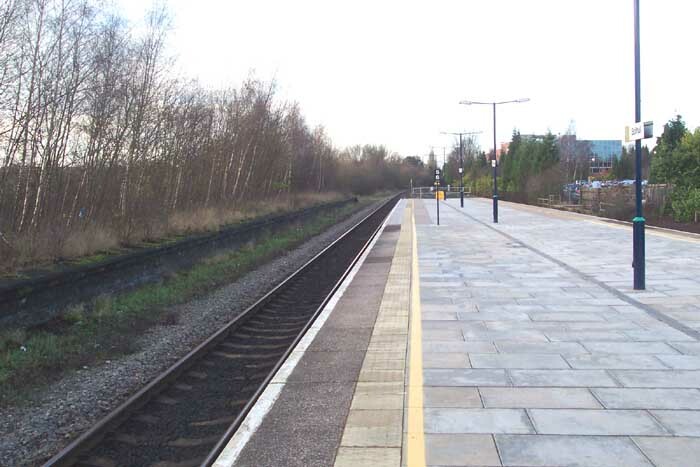 Above-left we can see another casualty of 'rationalization' with the disused platform to the left and, not discernible in this shot, a lifted trackbed to the left of that from this perspective making for the station having two island platforms at its peak. Above-right we are looking towards Birmingham again and taking a closeup of the girders of Blossomfield Road bridge which, if you walk under it, you will see is in three sections originally one for the up, one for the down and then another added in the inter-war years for a goods/relief line.